Ge Guorong, vice president of ZC Rubber, addresses the crowd at its 2018 dealer conference. 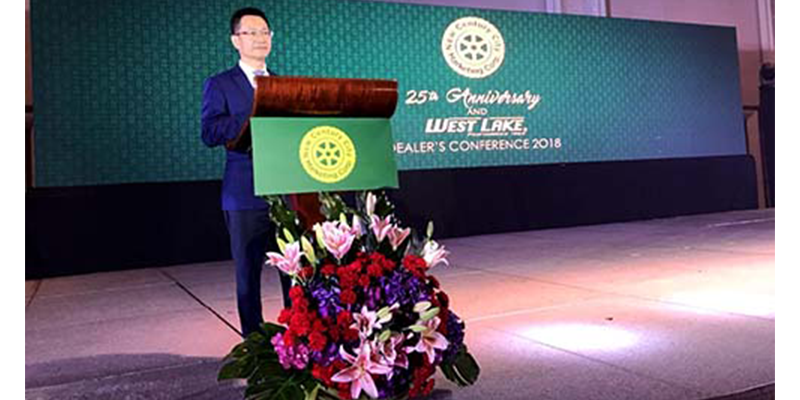 Zhongce Rubber Group Co., Limited (ZC Rubber) hosted its 2018 dealer conference in the Philippines this month with more than 250 dealers in attendance. At the conference, Ge Guorong, vice president of ZC Rubber, shared three phases of development in the company: meeting demand to gain market share, consistency and customer satisfaction. ZC Rubber will also focus on wholesale and retail store expansion with an emphasis on its value-added service with low cost for distributors and the customer experience on the retail end, ZC rubber said. In the last year, ZC Rubber supplied 17 million pcs tires, ranking as one of the top truck tire manufacturers, and supplied 32.51 million pcs passenger and light truck tires, ranking as the No. 1 in China for the replacement market, the company said. In 2017, ZC Rubber raked in revenue over $3.6 billion, a 22% increase from the year prior, the company said. 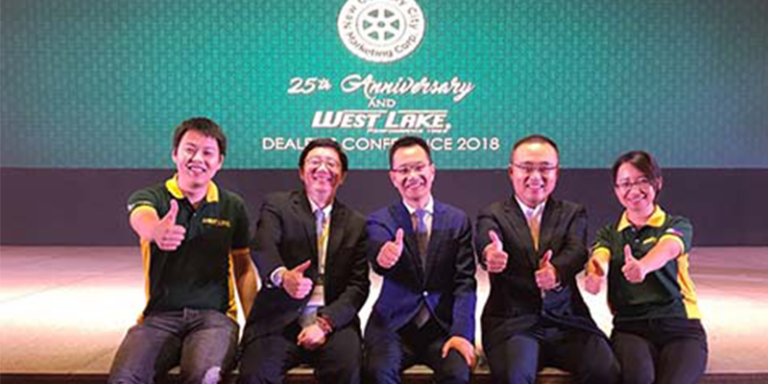 In the future, ZC Rubber said it will explore its more options with Marketing New Century City Corp., ZC Rubber’s 15-year partner in the Westlake tire brand in the Philippines. “We expect that our partner establishes and improves the sales network in the local market, expand the product portfolio, approach more key accounts and try the mobile service. We work together to increase the profits from all parts of the tire value chain,” Ge Guorong said.